U.S. Sen. John Cornyn is declining to endorse fellow Texas Republican Ted Cruz for re-election to the Senate, just as Cruz did not back Cornyn for another term two years ago. U.S. Sen. John Cornyn is declining to endorse fellow Texas Republican Ted Cruz for re-election to the Senate in 2018, just as Cruz did not back Cornyn for another term two years ago. Cornyn, the Senate majority whip, told CNN on Wednesday that he is "not going to get involved in any primary races, particularly with my colleagues in the Senate." That echoes what Cruz said in 2014, when he promised to stay out of Senate primaries — including Cornyn's. Cruz is facing the prospect of a serious challenger after he upset some Republicans by expressing no support for presidential nominee Donald Trump in July at the party's national convention. U.S. Rep. Michael McCaul of Austin, who has been urged to take on Cruz, has not ruled out a run. As he has done before, Cornyn distanced himself Wednesday from efforts to draft a Cruz challenger, telling CNN he is "not recruiting anybody." 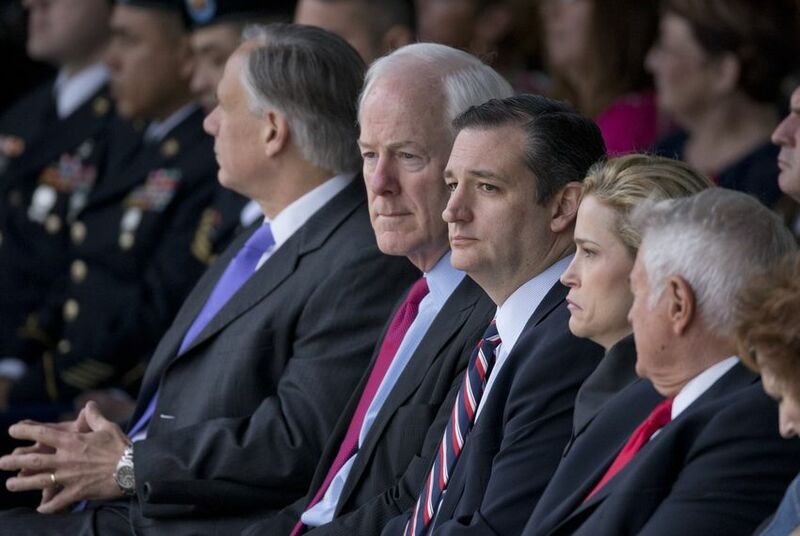 Cruz's refusal to endorse Cornyn in the 2014 primary has contributed to speculation of a frosty relationship between Texas' two U.S. senators. Cornyn went on to win decisively, beating former U.S. Rep. Steve Stockman of Friendswood and six other minor challengers. Cruz has not yet publicly commented on the buzz about a 2018 primary foe. But in a fundraising email last month, Cruz alluded to McCaul not ruling out a run and warned that the Republican establishment was seeking someone to challenge him. U.S. Sen. John Cornyn said it was "a mistake" for Ted Cruz to show up at the Republican National Convention with no intention of endorsing presidential nominee Donald Trump. As Ted Cruz returns to the U.S. Capitol and the job he was working so hard to transcend — rank-and-file senator — he will likely be in hostile territory.